At EBIL Personal Injury Lawyer, our goal is to protect the rights of injury victims and their families. For years, we have dedicated our careers to representing the families in Southern Ontario and the surrounding areas with competent and compassionate legal counsel. Our firm focuses on personal injury law and ensuring that the rights of our clients are met with expertise and knowledge so they will receive the compensation that they are entitled to. At EBIL Personal Injury Lawyer, we pride ourselves on being one of the top rated personal injury firms in the area. After an accident, retaining the services of a dedicated personal injury lawyer is one of the most important steps you can make during this time. We understand the emotional and economic hardships that arise from being the victim of an accident and reassure our clients that they do not have to face the consequences of an accident alone. Before you settle a claim with an insurance company, you should speak with an experienced personal injury lawyer. Having a lawyer on your side can protect your right to adequate compensation that you may not get from the insurance company. If you are unable to visit one of our offices, we will be glad to assist you by making a home or hospital visit to discuss your case. As there may be time elements associated with the filing of a claim, this ensures that our clients’ rights are protected from day one. We will explore your options and help you make informed decisions. We will provide answers about the process each step of the way and keep you informed of all developments during each stage. When it comes to motor vehicle accidents, motorcycle accidents, slip and falls or any type of accidental injury claim. we can ensure the finest legal representation to victims who have been injured through no fault of their own. Our lawyers have been able to consistently recover substantial compensation for victims both in and outside the courtroom. Not only are we staffed by some of the top professionals in the industry but we offer a network of medical personnel that we consult with to assist us with your case. Should your case go to court, we possess years of valuable insurance defense and courtroom experience. When you hire us, you have hired one of the most dedicated and knowledgeable lawyers in the industry. Personal injury is our one and only focus. We practice no other type of law. 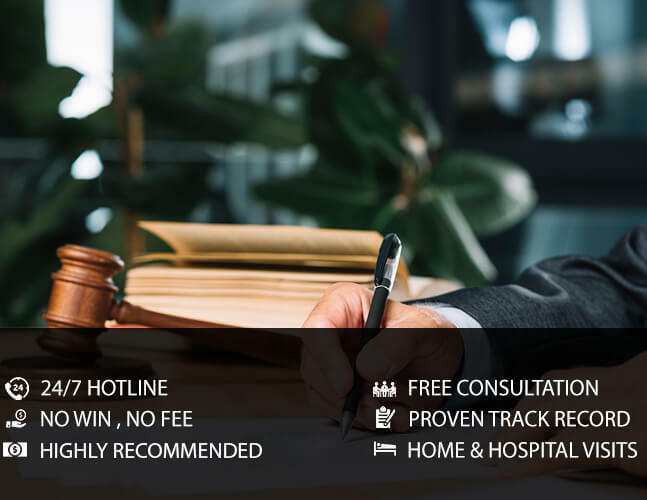 With our proven track record, EBIL Personal Injury Lawyer should be your choice when looking for an experienced personal injury lawyer. We are the firm you can rely on when you have been involved in an accident. Let our dedicated lawyers protect your rights like we have countless others in the Southern Ontario area.